This rock at the heart of the best defensive team in the league has always shown great potential but 2014 really has been the year for Gary Cahill. José Mourinho has always emphasised the importance of a strong back four and this alongside the vast experience of, in my opinion, one of England’s best ever Centre Backs John Terry. The two have really seemed to gel and this has been reflected in Chelsea’s results as they currently sit in second in the league with it all to play for and a semi-final in the Champions league next week. Any success the club achieves this season will be largely due to their immovable defence. Why is this important to England? Rather simply if you are not conceding goals you’re not losing games (unless it goes to penalties then we really are screwed!). England’s defence is a crucial area and it looks as if Cahill and Leighton Baines are the only two definite starters in the back four. Alone these two are arguably two of the best in their positions respectively however, the issue of a right back and partner in the middle for Cahill makes him even more vital to the squad. Although Steven Gerrard will be captain one of the defence will have to step up and be a leader, commanding the line and making sure they hold their shape. At Chelsea Cahill’s partner JT is one of the best there is at this, a natural leader, mix this with the defensive, structured mind of Mourinho and it would appear as if Gary was being bred for this role. This World Cup is a real chance for Cahill to show the leader he can be. Another product of the brilliant Southampton academy. For years Southampton have produced quality player after quality player and Adam Lallana is no exception. Already having a couple of England cap’s to his name if selected Lallana could be that something different in the English midfield. Lallana is totally comfortable with using both feet and whenever he has the ball looks in one direction and one only, forward. This is something that the English midfield has lacked over recent years, rather than passing it around Lallana wants to travel with the ball and will take on players as well as being able to pick out a pass. With the likes of Steven Gerrard and Frank Lampard not getting any younger or faster this could be the chance for a player like Lallana to freshen up a slower looking midfield adding a more dynamic attacking edge to the team. With 11 goals from midfield this season (9 in the league) there is also the added bonus of another goal threat. 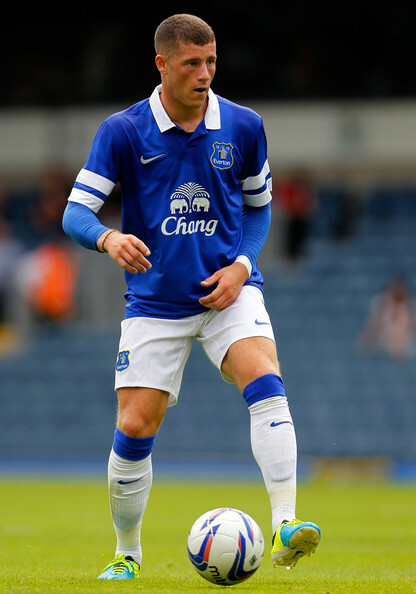 Much Like Lallana, Ross Barkley offers that something different in midfield. Barkley again gets the ball and his first thought is goal, you will hardly ever see him take the lateral route, he always wants to push forward, something I admire in a player. His acceleration and pace over short distances is impressive but even more so over long distances, for example his pitch long run that resulted in a goal against Arsenal in the FA cup. Without wanting to put too much pressure on a young man’s shoulders Barley seems to have that star quality to change a game on its head from nowhere, he has scored a few outstanding goals this season and anyone with that kind of ability you would want in your squad. There has been much made of Barkley being so young and whether he should go to a World Cup at the age of 19, my feelings are along the lines of if you are good enough then you are old enough. I do not think that Ross Barkley should be a starter in the team, it’s true that some of his performances this season have been game changing but at the same time on a few occasions he has been totally ineffective, a sign of his age perhaps. This being said a player with his pace and quality could provide to be a big impact player from the bench later on in games. 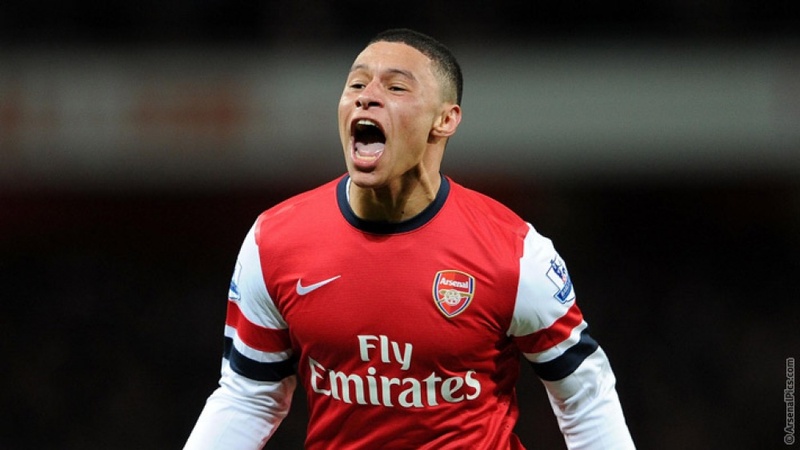 It’s hard to believe Oxlade-Chamberlain is still only 19 years old. Another graduate of the Southampton academy he burst onto the scene with Arsenal in 2012 earning huge plaudits from pundits around the world, so much so that he was rewarded with a place in Hodgson’s Euro 2012 squad. Chamberlain has really hit the ground running in terms of top flight football and has undoubtedly been one of Arsenal’s top players. Oxlade-Chamberlain’s direct approach, desire and passion have led him to become a fan favourite at Arsenal and if he is able to transfer the attitude and performance he has shown this season to that of an English shirt then he could pose a serious threat to other teams. My only concern with Chamberlain is his ability to track back and defend, the progressive nature of the game has meant that as well as attacking those on the wings must also get back and defend. Chamberlain is likely to play on the right and as already mentioned there is no certain English right back at the moment, if Chamberlain is to play he simply has to get back and help out the player in this role. Raheem Sterling almost became the pin up boy of everything that is wrong with football. 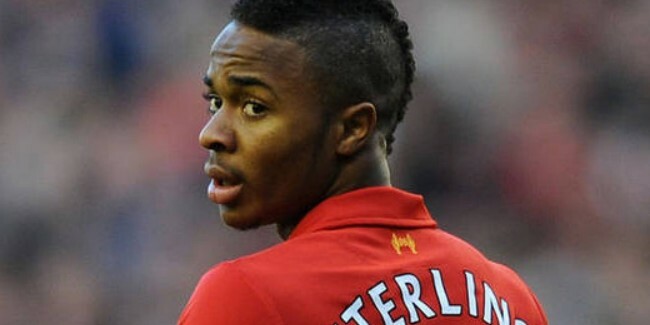 Transferred from QPR to Liverpool at the age of 15 for an extortionate fee, given excessive wages and a place in one of the world’s top teams, the possibilities for Sterling to fall off of the track into a deep dark world of over inflated ego’s and missed opportunities were seemingly endless. After two court appearances on minor assault charges – one he was cleared of and the other was dropped – and a host of rumours about how many children he has fathered – one, two year old Melody Rose- Sterling has seemingly come out the other side as world class player. After recent interviews in which he tells us of how his ‘feet are on the ground’, his current level of performance and a level of maturity on the pitch one has to say the fears of him not reaching his potential and losing himself are misplaced. For this Brendon Rodgers has to be given the upmost credit as he has taken up an almost paternal role in the development of one of England’s most exciting young talents. This season Raheem Sterling has been a revelation showing that he is as good, if not better, than all the hype he first received and after the way he played against Manchester City on Sunday for me he simply has to be in the starting XI. Another one of Liverpool’s star players. Daniel Sturridge has found himself in red after leaving Chelsea in January 2013 and has become a Kop hero. This season Sturridge has scored 20 league goals and formed one of the most feared strike partnerships in the world the SAS. 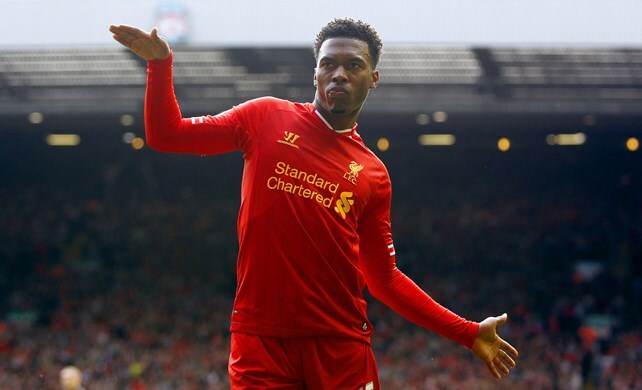 Sturridge and Suarez together have 49 league goals a partnership worthy of winning the title. While at Chelsea Sturridge was played mainly in a wide role but since his arrival at Anfield has been deployed in the middle alongside Suarez and well the rest is history. When a player is in the kind of form Sturridge is in he simply has to play and although he can be guilty of being greedy and sometimes searching for personal glory when passing might be the better option when he is scoring as freely as he has this season you cannot blame him. Just as keeping clean sheets is vital scoring goals is arguably more so and with Wayne Rooney misfiring at the last few international tournaments Daniel Sturridge could be the man to spark England into life and get us through the so called ‘Group of Death’ we find ourselves in. This Post was posted in Football and tagged Arsenal, Brazil, Chelsea, England, Everton, Football, Liverpool, World Cup. Bookmark the permalink.